All manner of Kigali residents pass their time by the pool of the Mille-Collines hotel: aid workers, Rwandan bourgeoisie, expatriates, UN peacekeepers, prostitutes. 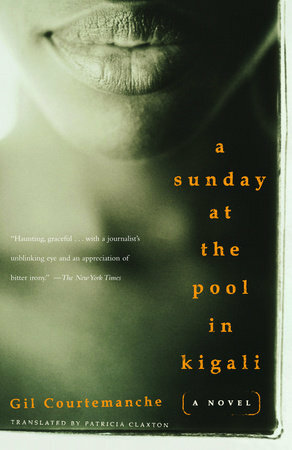 Keeping a watchful eye is Bernard Valcourt, a jaded foreign journalist, but his closest attention is devoted to Gentille, a hotel waitress with the slender, elegant build of a Tutsi. As they slip into an intense, improbable affair, the delicately balanced world around them–already devastated by AIDS–erupts in a Hutu-led genocide against the Tutsi people. Valcourt’s efforts to spirit Gentille to safety end in their separation. It will be months before he learns of his lover’s shocking fate.